Young soldier Jim McLeod waits in the trenches of World War I for the order to attack the enemy. With him are his friends, and Nipper, the messenger dog. When they charge across no-man's land, Jim is shot ...and finds himself face to face with an enemy soldier. 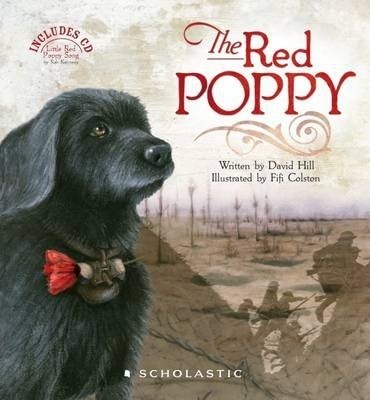 Award-winning children's fiction author, David Hill, was inspired to try his hand at picture book writing by the poignant song Little Red Poppy, written by Canadian Rob Kennedy.